I know some follow a "no white after Labor Day" rule, but I'm not one of those people! As long as you wear certain textures with white, avoid bright, 'springy' colors, and dress it up to fit the season, you can most definitely pull off white after Labor Day. The same goes with sandals. 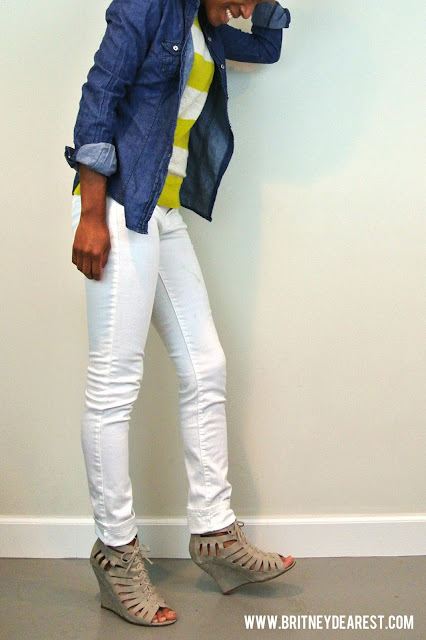 I love seeing ladies transition sandals from summer to fall, pairing them with long sleeved tops and sweaters & shorts. Super cute! 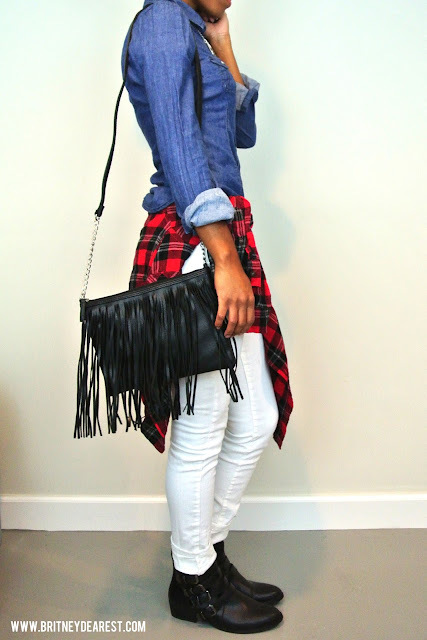 I'm not bringing out my tall boots this week, but they would look nice with these looks as well. A few cute ways to wear white denim this fall :-) Enjoy! A heeled shoe would look really cute as well. A lightweight sweater could go under the chambray top as well. 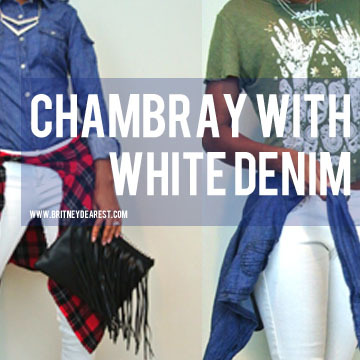 Amen, amen- chambray is seriously so awesome. Love it! 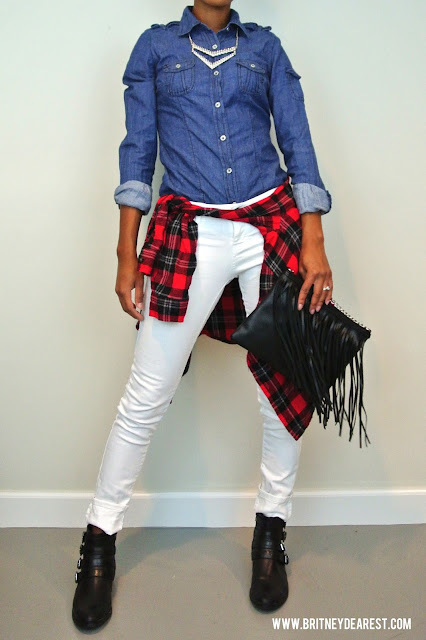 Another great styling yet again and your chambray top is very, very, cute.